Wooden structures of dwellings can be damaged by woodborers - powder post beetle, common furniture beetle, deathwatch beetles, house longhorn beetles, other woodworms. The insects damage timber from the inside, leaving holes on the surface. Wood boring beetles use timber as food, shelter and breeding areas. As a rule wood is damaged by grubs, while damage made by adult insects is almost imperceptible. 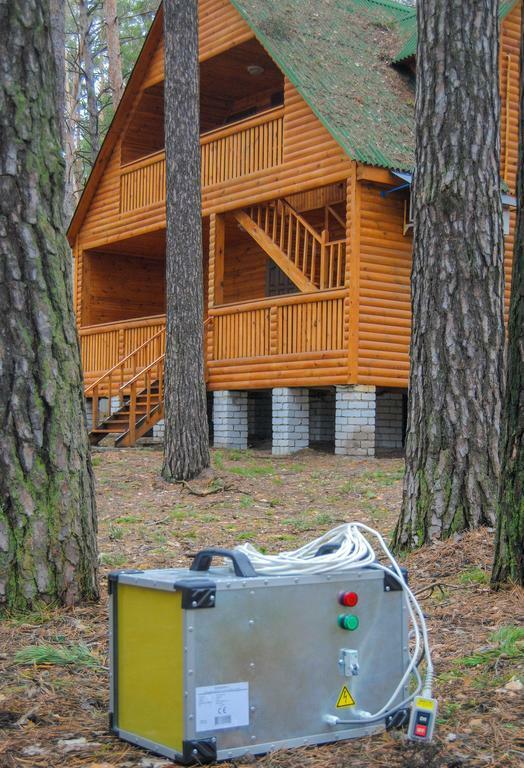 Old house borer is the most common insect damaging wooden buildings and constructions, whose favorite meal is very dry pine wood usually used for constructing roofs (floor beams and roof rafters) as well as interfloor beams and flooring. It is of reddish black color with a couple of white hairs and two black humps in the neck area. Usually, these beetles fly in the summer at a temperature of 26 °С and above. Woodworm (common furniture beetle) – Grubs of the woodworm invade the entire sapwood layer of wood, making tiny tunnels and destroy the wooden structure completely turning it to dust. These tunnels are usually of an oval shape. At the tunnels ends, there are traces of wooden dust or wood powder. The tunnels themselves are filled with the mixture of wood powder and feces. Since this powdered wood is not perceived on the exterior, infestation of the woodworm is very difficult to detect. 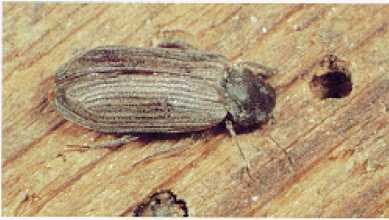 The deathwatch beetle is yet another enemy of timber, and it brings damage to pine wood and hard wood, used in construction and in furniture. This insect likes humid air, and therefore prefers humid rooms. It can be found in cellars and under floors. 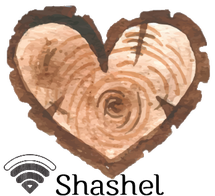 When air humidity decreases below 55 %, and wood humidity reaches 8—10 % (or sometimes even lower), wood gnawing become inactive. But once the dry period is over, the larvae quickly gets active and continues their unpleasant activity. They drill through the wood crossing passage ways in multiple places. Infestation with such insects can be easily detected since wood powder is usually found under the passage ways. The least common, but not least dangerous are the Pselactus spadix and the longhorn beetle. These insects bring damage to wood, wet from inappropriate use of bathrooms, kitchen sinks, and other places that can contain an excess of moisture. Deathwatch beetle can destroy both house and furniture. It can easily be found. Tiny holes in furniture are the symptoms of the infestation. This insect is equally dangerous for both the wood it lives in and the wood located nearby. Beetle propagation can be very extensive. If you don’t kill them in time, your wooden structures will be destroyed. Usually appear due to the following causes: the use of infested timber for construction or repairs, the inappropriate storage of timber/wood, the purchase of infested furniture from dishonest sellers, or by the excessive moistening of wood.